by pamlloydsite.In Business to Consumer, Content Creation, Content Marketing, Media Relations, Social. Pam and Olivia have worked with Three Choirs for the past two years. The Gloucestershire Vineyard has been growing grapes to make wine since 1973. The winery opened in 1990 alongside a visitor centre and since then bedrooms and 3 lodges have been added as the restaurant and English wines have grown in reputation and popularity. PamLloyd PR has been retained to make sure both the media and potential guests know about Three Choirs and come to visit. As other wine brands such as Chapel Down, Nyetimber and Camel Valley have grown the market for English wine it has become increasingly important to share the Three Choirs story, locally, regionally and nationally.  PamLloyd PR has worked promoted the venue to influential food, travel and lifestyle journalists and bloggers using new photography and sharing the vineyard’s story through media relations and social channels. As a result of the successful first year, the team has also been retained to promote Three Choirs, Hampshire as a wedding venue.